Slash Student Loan debt. What to buy in January! 142 – The ‘One weird trick’ to slash Student Loan debt. What to buy in January! The ‘One weird trick' to slash Student Loan debt. What to buy in January! The ‘One weird trick' to slash Student Loan debt. What is SoFi? Why have investors given them a billion dollars? Why are personal finance experts raving about Sofi for student loan debt? I’ll update you on my weight loss for Week #2 and tell you a bit about of what worked for me on this special Weight loss podcast. 407-205-9250 total life abundance podcast hotline. 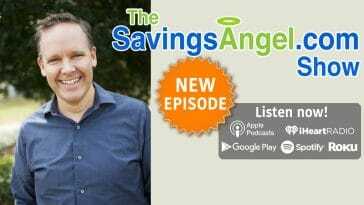 Show notes @ http://SavingsAngel.com/podcast. Article – January buy and skip list. Slash Student Loan debt: One Weird Trick to Slash Student Loan Debt: SoFi review 2016. Next article One Weird Trick to Slash Your Student Loan Debt: SoFi review 2016. One Weird Trick to Slash Your Student Loan Debt: SoFi review 2016.